Throughout the weeks leading-up to the Animatsu / MangaUK Industry Panel their social-media-channels have been teasing the possibility of an onslaught of announcements and surprises; all of which interested the public and caused speculation amongst fans of the medium. So what did these distributors have to announce? Well when Jerome and Andrew entered the stage – quiet a lot and you can see it all here in our video and below if you carry on reading. It all starts with confirmation that Dragon Ball Z: Resurrection F, which is the latest Dragon Ball Z film, will receive a limited cinematic run acorss the UK and, more interestingly, anyone who pre-orders from a special website (which will become active shortly) will receive one of two limited edition transformable Dragon Ball Z figurines. This figurines were originally given out during the cinematic run in Japan and can not be purchased by usual means. The film will be shown in selective screenings across the UK in September with a DVD and Blu-ray release to follow shortly after. The next three announcements came in the form of titles being distributed via KAZE; namely Coppelion, which will be available on DVD from the 2nd November 2015, The World’s Conquest, which will also be released on DVD from the 2nd November 2015 and Magi: The Kingdom of Magic on DVD and Blu-ray. Magi: The Kingdom of Magic will be released in two parts, just like the first season was, and both parts are expected to be released before the year ends. Moving away from KAZE published titles the announcements during the panel went anywhere and everywhere with titles from Animatsu and Manga Entertainment UK being blended in together. For starters Danganronpa was ‘re-confirmed’ for a UK release on the 9th November 2015, with the series being released on both a DVD and Blu-ray, at which point Jerome and Andrew confirmed that three naruto movies would be heading to the UK on Blu-ray (and DVD) throughout the remainder of this year. Naruto: The Road to Ninja will be released on the 12th October 2015 with The Last Naruto The Movie to be released on the 21st December 2015; additionally the previously released Naruto: Blood Prison will receive a Blu-ray re-release on the same day. Finally, and once again announced at different points in the panel, Animatsu revealed a wide-variety of titles starting with Samurai Jam (Bakamatsu Rock) which will be available on DVD and Blu-ray from the 19th October 2015 and the Beyond The Boundary on a To Be Announced date. 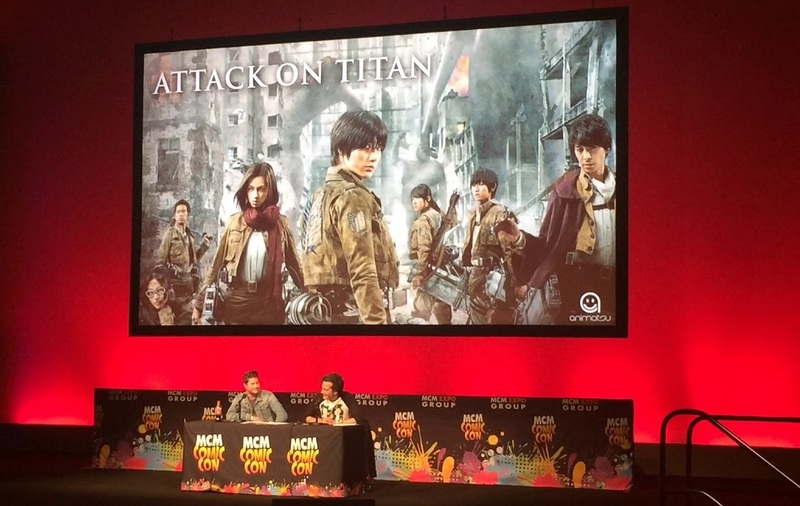 The remaining announcements from Animatsu were confirmations that they will be distributing, at some point in the future, Garm Wars: Last Druid, Parastye The Movie and Attack on Titan with both Attack on Titan movies getting a cinematic release later this year. The combination of announcing titles, showing trailers and talking about them took so long that eventually Jerome and Andrew ran out of time; but to sum-up here is what you can expect from their Q4 release schedule – and it’s pretty full. 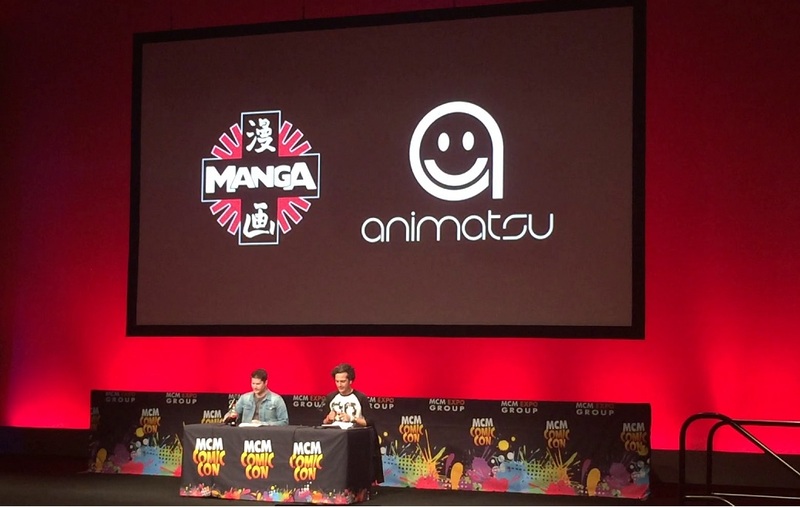 Overall the panel by Animatsu / MangaUK saw a lot of new titles being announced; but in regards to currently liscensed content, such as Naruto Shippuden, One Piece and Fairy Tail no new information was presented forward; so we will have to wait and see what happens with those titles – especially Fairy Tail. It’s been a relatively long article but those were all of the announcements made during the panel; however even after the panel ended some Q&A was taken – all of which you can watch here. In the meantime did any of the announcements interest you? Let us know!